Members of the Peoples Democratic Party in the Senate may have dumped their plan to adopt and support any “friendly” member of the All Progressives Congress that is interested in contesting the position of the senate president in the 9th National Assembly. 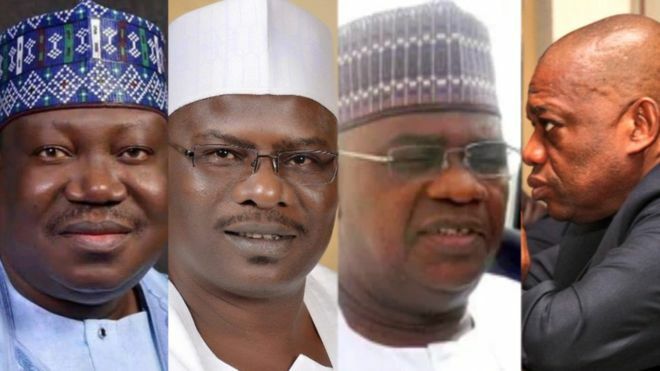 Investigations at the upper legislative chamber on Thursday revealed that the PDP senators, numbering 41 at the moment, were determined to present a candidate that would contest against the candidate of the 65-member APC caucus in the red chamber. A senator from the South-East geopolitical zone, told The Punch on condition of anonymity on Thursday, that his colleagues were considering taking the advantage of the crack in the APC Senate caucus to present a candidate. The ranking senator said, “It is glaring that Senator Ali Ndume will contest the Senate president seat on the day of inauguration because he is obviously dissatisfied with the position of the party. The senator hinted that leaders of the PDP might come up with a decision to adopt one ranking senators that would contest the Senate president position on June 9 that the 9th Senate would be inaugurated. But another senator from the South-South geopolitical zone told one of our correspondents on condition of anonymity on Thursday that the Deputy Senate President, Ike Ekweremadu (Enugu); Senator Enyinnaya Abaribe (Abia); and Senator James Manager (Delta) were being considered as the PDP candidate for the Senate president position. However, indications that the PDP may spring up a surprise on the day of inauguration, however, manifested on Thursday when an APC senator-elect, Orji Uzor Kalu, said he might be forced to contest against Lawan. He told one of our correspondents on the telephone that the decision of the APC to deny the South-East of producing the deputy senate president could force him to challenge Lawan. When contacted, Senator Abaribe said the PDP members would vote as a group on inauguration. 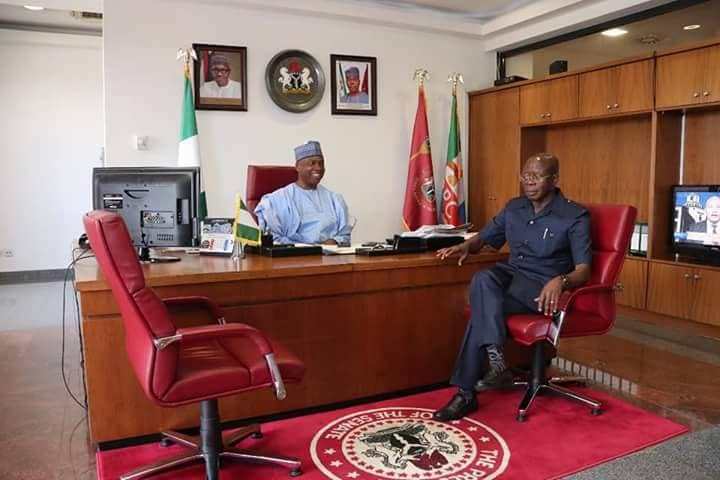 Attempts to speak with Ekweremadu through his media aide, Uche Anichukwu, failed on Thursday as he did not pick calls put across to him neither did he respond to the text message sent to him. Similarly, Manager could not be reached as calls made to his phone indicated that it had been switched off. However, the spokesperson for the APC caucus in the Senate, Sabi Abdullahi, has reiterated that the party will produce the Senate President, no matter scheming. He said, “We are engaging our colleagues in the PDP and the majority of them are actually working for us to see that we have a harmonious, rancour-free, non-tumultuous Senate. 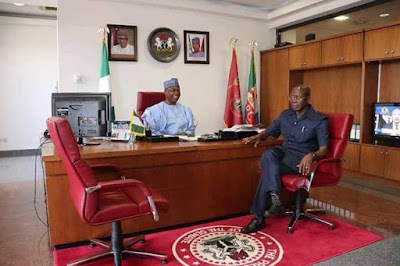 However, there were indications on Thursday that aggrieved senators-elect and newly-elected members of the House of Representatives from the APC had reached out to their counterparts in the PDP in their quest to clinch the leadership positions in the ninth National Assembly. The Punch gathered that some national officers of the PDP had been contacted secretly by agents of those who had signified interest in the ninth National Assembly positions. A national officer of the former ruling party, who spoke on condition of anonymity, told one of our correspondents that he had been approached by agents of some of those campaigning to lead both chambers of the National Assembly. He noted that if the PDP members cooperated they would be able to overwhelm the APC with a few aggrieved members of the ruling party. The PDP national officer said the party and the nation would not want the 9th National Assembly to be a rubber stamp for the actions of the executive. He said, “We are watching them from afar. Some of those planning to lead the National Assembly have started reaching out to us. We are being careful because we know some may want to know our minds. “The day we sealed our support for Saraki was just a few hours to his election. This time round, we are watching. You know the APC has less than two-thirds in the Senate. Out of this number, about 15 of them have disagreed with their party. So, you can see that those who were running their mouths that we have no role to play are not politicians. They do not know what they are saying.